If a food product contains small amounts of glyphosate (an herbicide chemical), can it still be considered “100% natural?” Fed-up consumers are saying no to false advertising, and now multiple lawsuits have been filed against Nature Valley for exactly that. General Mills, the company that owns Nature Valley, has been down the litigation path over deceptive labeling before. 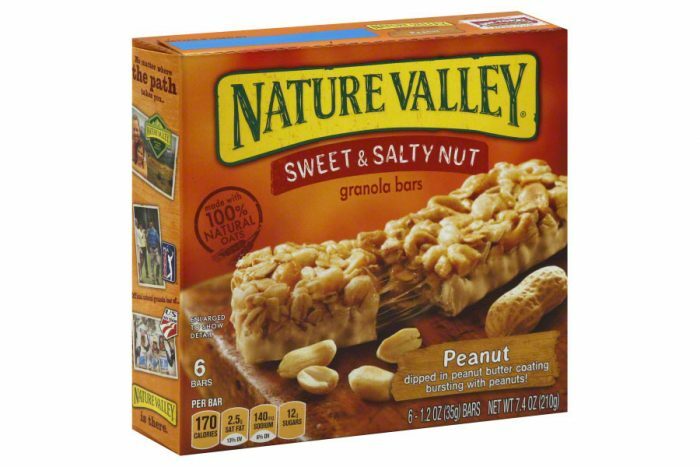 For a while, the claim was missing from boxes of the granola bars, but it has since reappeared on many Nature Valley products, just in different forms. The plaintiffs in the most recent cases say that claim is deceptive. The lawsuits all claim that General Mills is deceiving consumers because of those few, seemingly innocent words, but why? The granola bars in question contain glyphosate. Perhaps you’ve heard of it? Glyphosate is the main ingredient in the infamous Monsanto herbicide, Roundup. The granola bars contain very small amounts of the chemical – about 0.45 parts per million (ppm) – but here’s the thing: glyphosate is everywhere. Glyphosate is a possible human carcinogen (although a lot of scientists and government agencies will try to tell you otherwise. They’re right – nobody eats truckloads of granola bars every day. But it’s in plenty of other things – and in the air – and has shown up in breast milk, several varieties of California wines, and even beer. Who knows what else contains glyphosate that hasn’t been tested yet? The lawsuits don’t call into question whether the residual levels of glyphosate found in the granola bars – which fall well below the Environmental Protection Agency’s (EPA) limit of 30 ppm – are safe. Rather, the plaintiffs allege that General Mills is using the “natural” label to trick unwitting customers into paying more for a product that may not be what it advertises. This isn’t news–most of what I see labeled as “natural” is anything but that and it sure isn’t just General Mills doing it.